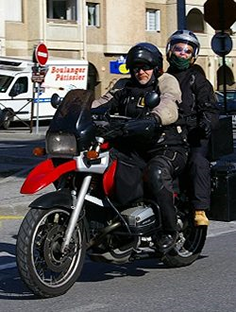 The Federation of European Motorcyclists Associations (FEMA) have published an interview with Malcolm Harbour UK MEP, Chair of Internal Market and Consumer Protection (IMCO) committee and shadow Rapporteur who is considering amendments to the European Commissions proposal on Approval and market surveillance of two – or three-wheel vehicles and quadricycles. At Right To Ride we have brought you clear and concise reports on the European Commission proposal, explaining exactly what is not in the proposal that riders, particularly in the UK and Ireland, have been protesting about recently. Malcolm Harbour comments at the start of the interview with FEMA, “There is significant hysteria surrounding the review of this Regulation and clearly I don’t support the petition (this is a petition by the UKIP MEP Marta Andreasen). This is the result of political opportunism playing up rider concerns with the EU lawmaking process. The EU already regulates the type approval of motorbikes and a periodical review of the rules such as this is hardly a surprise. The exercise underway is principally about updating the type approval process for powered two wheelers to reflect the introduction of new technologies. The modified legislation will also ensure that motorbikes are safer for the public, cleaner and quieter while supporting EU industry competitiveness. The modernised Regulation aims to achieve this. Commenting on the scope of the anti-tampering measures, Malcolm Harbour explains “This uncertainty is compounded by the fact that the concrete measures to prevent modifications of the powertrain are still unknown because the Commission suggests developing them via delegated acts. In any case, the European Parliament retains a right of scrutiny over any such future measures, so it is absolutely not the case that the Commission would be able to design these technical specifications behind closed doors”. At Right To Ride, we highlighted this in our response to the DfT consultation, that we have major concerns due to where the proposal sits at present within the legislative process. It is our understanding that the proposal is scheduled to be voted on before the regulations, delegated acts and the adoption of harmonised international standards, have been agreed on. We explained in our response that all these issues need to be formulated before any agreement or alignment within the Council of Ministers and before any vote within the EU parliament takes place regarding the Commission’s proposal and subsequent amendments put forward by the IMCO committee. Failure to do so would create an impossible situation whereby the motorcycle industry, consumers and member state governments are not able to have a clear understanding of what the simplification of this regulation actually entails. Although the amendments will be voted on at the IMCO meeting on the 22nd November, as yet we do not know what has already been deleted, what the compromises will be, nor what the final report which will voted on in Parliament will contain. We hope that this interview will bring a halt to the “Silly Season”, end the scaremongering and the woes of the soothsayers, that this will bring the end to motorcycling, so that we can focus on the real issues. The Regulation on the type approval and market surveillance of two- or three wheelers is approaching the Committee vote in the European Parliament. The legislation will have significant influence on the way motorcycles for the European market will have to be built for the next 20 years. FEMA discusses the latest developments with Malcolm Harbour, Chair of the Committee on the Internal Market and Consumer Protection (IMCO), which is in leading on this work in the Eurpean Parliament. The British MEP also acts as shadow Rapporteur for his group, the European Conservatives and Reformists. FEMA: Mr. Harbour, for many riders, especially in the UK, there are fears that the type approval Regulation will bring drastic restrictions of rider’s freedom. One British MEP has even launched a petition against the Regulation. What are your views on the sustained criticism geared at this draft Regulation for motorcycles, including a major drive slow demonstration in the UK and a planned demonstration here in Brussels on the day you plan to vote on the Committee Report? Harbour: There is significant hysteria surrounding the review of this Regulation and clearly I don’t support the petition. This is the result of political opportunism playing up rider concerns with the EU lawmaking process. The EU already regulates the type approval of motorbikes and a periodical review of the rules such as this is hardly a surprise. Specifically, a number of criticisms on the Regulation are simply not relevant to our work, for example high visibility jackets for riders, the banning of older motorcycles from urban areas, or the legitimacy of EU funded research on throttle and speed control. These are all issues which are entirely outside the subject matter of this particular legislative proposal. FEMA: But some MEPs have tabled Amendments on these subjects, have they not? Harbour: Indeed, unfortunately, a small number of amendments tabled relate to rider training, side visibility reflectors, roadside random spot-checks, technical examinations of motorbikes and liabilities in accident situations, as well the harmonisation of driver licence schemes. These have added to the general confusion. Some of these issues are totally irrelevant and relate to national proposals in some EU Member States, while others refer to broader European Commission thinking relating to their White Paper on Transport. Of the problematic Amendments tabled to the Committee report, a number have already been withdrawn, and for those which have not, they do not have majority support and I am trying to persuade colleagues to withdraw them in the run up to the vote. If they happen to survive the vote, which I very much doubt, the Council of Ministers will certainly reject them anyway. FEMA: Moving on to our key concerns with the Commission’s proposal, from the very beginning FEMA expressed disagreement on the Commission’s proposal to introduce so called anti-tampering measures [Article 18]1 – not only for light motorcycles, but also for motorcycles above 125cc. Some MEPs have already indicated their support to attenuate or even delete the provision. What are your views on this subject and how do you calculate the position in Parliament? Harbour: Clearly, my Committee does not support putting an end to aftermarket sales of spare parts for repairs and improvements. Anti-tampering measures are intended to stop alterations to the vehicle’s power for safety purposes or to meet environmental performance requirements. These are currently limited to mopeds and motorcycles under 125cc producing less than 11kW. So let’s be quite clear about this: drive train improvements or part replacements using aftermarket parts will continue to be allowed. In fact, I can tell you that amongst the MEPs most closely involved on the file, we are already agreed on deleting the bulk of Article 18 on anti-tampering. Finally, relating to this, there are amendments calling for any modifications to the motorcycle to be checked by a competent authority, setting up national agencies to inspect emissions, but I really think these ideas will not meet with majority support, neither in the European Parliament, and definitely not in the Council of Ministers. FEMA: Our information suggests that ABS will become mandatory for higher powered motorcycles. FEMA opposes mandatory measures in general, including in the case of ABS. Lately it has even been proposed to introduce ABS even on light motorcycles between 51cc and 125cc. Can you tell us more about these developments? Harbour: Negotiations are still ongoing on this point but I am making headway. The overall cost benefit of ABS is stacked in favour of mandatory ABS for higher powered motorcycles. However, riders have been arguing against this for certain driving conditions such as on loose gravel. This concern is almost exclusively relevant for dual-use bikes (off and on-road) and Enduro and Trial types will have a separate category (L3e) under the revised rules without mandatory ABS, so in truth, it’s not such a big issue. I have asked Mr Van de Camp to consider proposing an off-switch for ABS for those PTW categories where ABS will become mandatory. We’ll see how this proposal goes. Indeed, there is political pressure in IMCO to introduce ABS on lesser powered PTWs, but so far, I think I have made a good case with my colleagues against introducing ABS for mopeds, while supporting CBS on light motorcycles between 51cc and 125cc as there is a lack of consistent evidence that ABS would improve safety for these types of motorcycles. FEMA: The Commission suggests the introduction of on-board diagnostics (OBD). OBD is supposed to indicate malfunctions of the vehicle and could therefore help riders and/or repairers to quickly detect what has to be fixed. You are supporting the introduction of a basic version (OBD Stage I) but you are opposed to the introduction of a further step (OBD Stage II) at a later point in time. Harbour: Yes, that’s right. OBD should not to affect the motorcycle’s behaviour, but provide riders with information on malfunctions in the form of a warning light. I am supporting OBD Stage (I) requirements but proposing to delete OBD Stage (II) from the draft Regulation because I am convinced that these would entail significantly higher costs for manufacturers which would be reflected on retail prices, without demonstrating a good return on investment in terms of added benefits. FEMA: Motorcycles are lagging behind cars when it comes to emission abatement. FEMA therefore supports the introduction of stricter emission limits, but only under the condition that manufacturers guarantee the durability of the vehicle’s emissions. FEMA supports a durability requirement for a mileage of 50.000 kilometers. What are your views on the topic? Why are you criticizing the Commission’s proposal for durability testing and what is your alternative? Harbour: This is a real technology dilemma for motorbikes. There are currently no European durability requirements for motorbikes, so we are starting with basically nothing here, although tests are required for some other markets (such as the US EPA test). The Commission does not specify any particular test in its proposal which doesn’t help the situation. Referring you to the UK impact assessment (the only EU Member State to have actually done one by the way), I disagree that a durability requirement for a mileage of 50.000 kilometers is a good thing which ever way you look at it. If this is introduced, the test time, estimated at one year, will be a significant problem. From my experience as an automotive engineer, I can confirm to you that durability testing is potentially extremely time consuming and burdensome. This is the very reason why, for cars, use of standard, more conservative deterioration factors is permitted as an alternative to testing. This is also why US motorcycle emissions legislation allows for extrapolation on durability testing. The introduction of durability requirements in EU motorcycle emissions legislation should include similar flexibility to avoid disproportionate burdens on manufacturers. I think the Commission should have considered including additional equivalent emission durability test options by means of accelerated ageing of vehicles and components in the delegated and implementing acts. FEMA: In some countries in Europe motorcycles have to be presented to a periodical technical inspection. Some of the inspection schemes also include emission checks. The emission requirements today are not very high and the methods applied for emission testing are rather rough therefore motorcycles hardly fail these tests. But stricter emission limits will require more accurate testing procedures. FEMA simply wants to prevent riders in these countries from failing emission checks caused by degradation and particularly from having to pay the bill for it. Harbour: Yes, I understand and agree with your objective but I’m really not sure the technology is there yet. This also partly explains why I proposed to delete the EURO 5(6) emissions stage. EURO5(6) requirements come far too early for manufacturers. The proposal is roughly equivalent to lowering effective emissions in one single stage to all previous EURO stages put together. Given the particular strains on this sector, we at least need a much longer lead in time, or we run the risk of placing serious difficulties on our manufacturers, and an EU market which is too difficult to access for manufacturers outside the EU. I think these proposals would ultimately hamper consumer choice, and of equal importance, efforts to position PTWs as playing a key role in reducing both congestion in urban areas and overall road transport emissions. FEMA: Mr. Harbour, thank you very much for this interview. Proposal for a EUROPEAN PARLIAMENT AND COUNCIL REGULATION Regulation (EU) No …/2010 of the European Parliament and of the Council on the approval and market surveillance of two- or three-wheel vehicles and quadricycles – 4th October 2010. Draft Report – 6th May 2011 – Includes Amendments 1 – 94 Committee on the Internal Market and Consumer Protection on the proposal for a regulation of the European Parliament and of the Council on the approval and market surveillance of two-or three-wheel vehicles and quadricycles (COM(2010)0542 – C7-0317/2010 – 2010/0271(COD))Committee on the Internal Market and Consumer Protection – Rapporteur: Wim van de Camp. AMENDMENTS 95 – 304 Draft report – 30th August 2011 – Approval and market surveillance of two-or three-wheel vehicles and quadricycles. Right To Ride responds to The Department for Transport’s Consultation on the EU Regulations (The proposal for the approval and market surveillance of two or three wheel vehicles and quadricycles). The aim of the consultation is to help refine the UK’s impact assessment on the Commission’s proposal and provide an opportunity to receive comments based on the progress of discussions to date. The British Motorcyclists Federation (BMF) have commented on the EU Regulation proposals that are nearing final stages, before being voted on in the European Parliament. 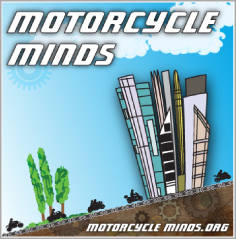 Joining the public debate, the BMF have arisen to give their view on the myths and fallacies that have been perpetuated to UK riders, in particular leading up to a UK wide motorcycle demonstration. The UK Government through the office of Malcolm Harbour, Chairman of the IMCO Committee and Shadow Rapporteur for the European Conservatives and Reformists Group (ECR) has sent to Right To Ride to publish a briefing for UK MEPs regarding the amendments in the EU Proposed Regulation on the Type Approval of 2 and 3 Wheeled Vehicles. Amendment Withdrawals – This is particularly relevant as a communication from the office of Malcolm Harbour Chairman of the IMCO Committee and Shadow Rapporteur for the European Conservatives and Reformists Group (ECR) reports that Robert Rochefort MEP (France) has withdrawn his tabled amendments to the proposal – amendments – 97 and 103. Reality Time for Consultation on Type Approval say BMF. Welcoming the Government’s consultation on the latest EU Type Approval proposals covering rules for the construction and maintenance of motorcycles, the British Motorcyclists Federation say that this is a golden opportunity for motorcyclists to make their case. Riders in the UK and in Ireland are up in arms about the EU Commission’s proposals for motorcycles. Protest demonstrations have been organised for the 25th September throughout the UK and Ireland. There are many issues of which riders have justifiable reasons to express their anger and concerns regarding these proposals. There is however a lot of misinformation out there and it seems to us that riders are getting mixed messages about what the European Commission is actually proposing and what the MEPs and the UK Government is doing in response to these proposals. The Department for Transport (DfT) in the UK has launched a consultation on the proposed new European regulation on the type approval process for motorcycles, three wheeled vehicles and quadricycles. 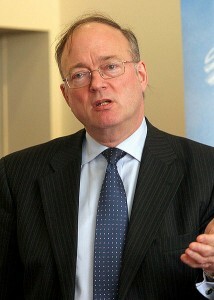 Malcolm Harbour was elected to the European Parliament in June 1999, and re-elected in June 2004 and 2009. He is one of 2 Conservative members representing the West Midlands Region of the UK. He is Chairman of the Internal Market and Consumer Protection Committee and is a Member of the European Conservatives and Reformists Group. He is Vice-Chairman of the Parliament’s Science and Technology Options Assessment Panel (STOA) and a Member of the Inter-Parliamentary Delegation to Japan. Malcolm Harbour takes a special interest in the EU single market, industry, science and technology policy. He is Chairman of the European Manufacturing Forum, the Ceramics Industry Forum and the Conservative Technology Forum. He is a Governor of the European Internet Foundation. He has been the lead MEP (rapporteur) for major legislation on Telecoms, the Single Market and Motor Vehicle standards. Since 2005, he has served on the CARS 21 High Level Group, a Europe-wide initiative to boost the automotive industry. He was named as a top 50 European of 2006 for his key role in broking agreement on the Services Directive. In May 2006, he was named the UK’s most Small Business Friendly UK Parliamentarian by members of the Forum of Private Business. In September 2010, he was voted Internal Market MEP of the Year. Before his election to the Parliament, Malcolm Harbour spent 32 years in the motor industry, as an engineer, a senior commercial executive, a consultant and a researcher. He began his motor industry career in the BMC Longbridge Plant as an Austin Engineering Apprentice in 1967. Malcolm Harbour was born in February 1947. He was educated at Bedford School and Trinity College, Cambridge, where he graduated in Engineering, and at the University of Aston where he gained a Diploma in Management Studies. He received an Honorary DSc from Aston in 2008.